Orion Launch Set for July 12! Every once in a while a revolutionary product comes along that changes everything. Being a part of that product is an incredible feeling that you never forget. We’ve been very fortunate to already launch such a product back in 2012. We were a WordPress agency that tackled hundreds of websites, and we were frustrated about the time and effort we wasted on basic maintenance. So we decided to do something about it. 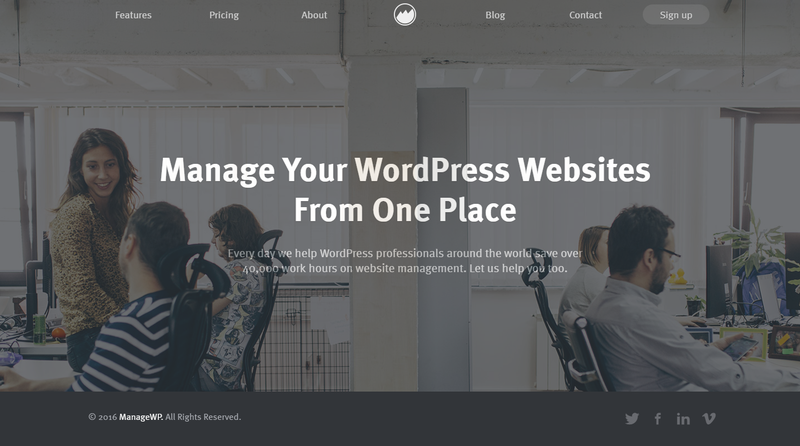 We built ManageWP, and it changed the way people manage WordPress websites. Hours became minutes. Stressful tasks became a breeze. You’ve suddenly found yourself with a lot more spare time that you could use more meaningfully. It’s been four years since then, and it’s time to knock ourselves off the throne. Today I’m announcing a launch date that will once again change the way people manage websites: July 12! 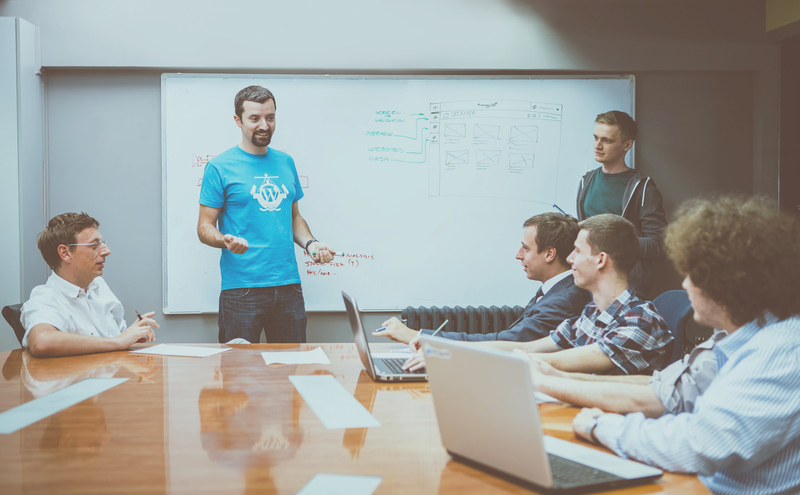 There is a clear gap between what the WordPress community needs, and what’s available. Most people try some solution, run into problems, and give up. 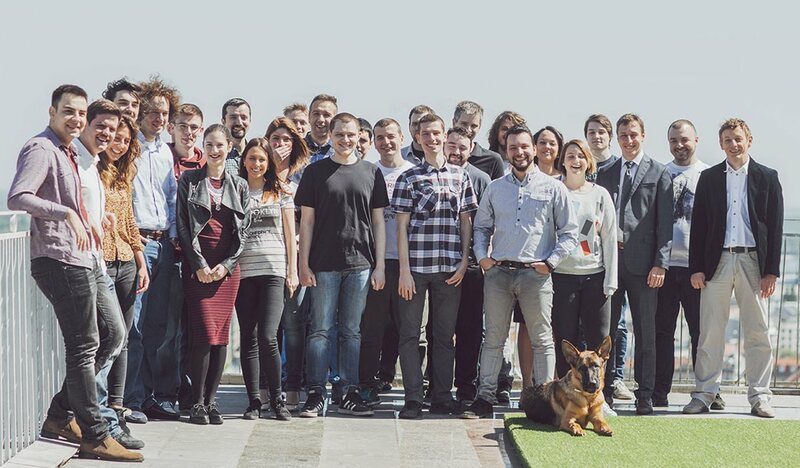 That got us thinking: What would happen if we took a shot at building ManageWP again, but with the latest technology and an experienced 29 person team? We had the opportunity to reinvent website management, and we took it. It was very hard, but not impossible. And on July 12, you will be able to get your hands on Orion! When faced with the choice of saving time versus saving money, a lot of people make the error of focusing on money, because it’s more tangible. They usually end up losing a lot of time that could have brought in more money than they saved. We wanted to break this cycle by making Orion the logical choice for both groups. We’ve always been about saving time, and with Orion we’re taking that to the next level. At the same time, we want to offer a powerful set of free tools that make Orion a viable option for anyone who uses WordPress to keep the lights on. That’s why Orion is easy to use, secure, and with a set of powerful premium upgrades on top of a great, free management dashboard. Machines should wait for people, not the other way around. We needed to make the dashboard lightning fast and responsive, so we built one from scratch using AngularJS, Symfony, MongoDB and several other technologies. The Orion dashboard lets you accomplish one task and switch to the next one, without having to wait for the first to complete. This saves time, but more importantly it helps you stay focused. Ease of use is also about just doing what you need to do, without bending over backwards and jumping through hoops to make it work. It takes less than 30 seconds to set up an account and start managing websites, and all our tools have been fine tuned to perform reliably – your job is to just turn them on and instinctively understand what’s going on. Self-hosted management solutions are a big burden because you need to take care of your security, and you need to pay for a VPS to run it. This creates an overhead that you don’t want, because you need to play the SysAdmin and DevOps roles. Nobody wants that. ManageWP Orion is on the Amazon Web Services infrastructure; we’ve got a team of experts maintaining our servers around the clock. We run an active white hat bounty program. Security is our top priority, and we’ve got a perfect track record to prove it. Money should not be an obstacle when we talk about WordPress website management. That’s why we decided that the management dashboard will be free for an unlimited number of websites. You can access websites, manage plugins & themes, perform updates, run performance and security checks, and much more. I am especially proud that to announce that the Orion backup will have a free version, available on an unlimited number of websites! You’ve probably heard about the Orion backup by now: incremental, off-site backup that keeps running long after standard backup solutions fail. All our benchmarks have shown that the reliability is off the charts: the backup success rate is close to 97% out of the box, and the restore rate is near 93%! When was the last time you were sure everything will go well when you restore a website? You’re probably wondering where’s the catch – a backup solution that delivers this kind of reliability would sell at any price we name. The thing is, it’s not about the money. We’ve always been active in the WordPress community: speakers, sponsors, contributors and organizers. We want to do more. We’re really good at building quality products, so we decided that Orion is our contribution to the community. Orion has already been available to active ManageWP subscribers for months. Their feedback helped us fine tune it, but now it’s time to make it available to everyone. Starting July 12, you’ll be able to sign up for your own Orion account. All Orion tools will be available free of charge until August 1, so you could find the right mix of free and premium tools without worrying about the cost. An update of our website, dedicated to Orion, will be launched. We’ve released the Orion pricing update; if you manage (or plan to manage) over 25 websites, you’re in for a nice surprise! Also, if you’re an active ManageWP subscriber, you’ll be interested to hear that we’re preparing a separate article to walk you through all of the upcoming changes, and how to get the most out of them. We need your feedback now more than ever. We built something that we believe will have a huge impact on the WordPress community, but that’s just a start of something even larger. Something that we’ll build together, for everyone. Brilliant!!! Can’t wait for the update. The new features sounds awesome! “It was very hard, but not impossible.” As is everything that is worth doing! There are twenty-nine of you? My beer tab is going to cost more than my ticket to Belgrade. Nah, the beer here is like $1 (in Canadian currency it’s around 1/3 of a hockey puck), so you’re good! I have been using ManageWP for quite a while now. I am really excited about Orion, everything looks super and is easy to use. Now I am just hoping that the scheduled client reports feature doesn’t take too long. When that is released, all my problems are solved. In the next few weeks we should have a post-launch roadmap out with the Client Report automation on it. Stay tuned! The pricing update article has been published, check out the ManageWP bundles! Stoked! As a current user, I’m looking forward to the guide for folks like me. Thanks for the great job and product! As always, outstanding job! Your team always lets me look like a wizard to my clients! Thanks for letting me tag along for the ride. Nemanja: the moment you put out a post, I get all excited. That’s because you always have good news coming our way! I have been part of the journey in a very small manner and have tremendously enjoyed seeing ManageWP grow and mature. I am happy for you guys and for the WordPress community in general that such a lovely tool is coming to fruition. Can I give you guys a big hug?? WP Management has always been a pain for me. I have been through all kinds of downs (and few ups) with backup solutions. You make the management of multiple sites so easy and – literally – fun. I didn’t want to work without Orion anymore and can’t wait for July 12 (July is ALWAYS a very good month to bring new things into the world … my mom said). Thank you for the amazing support, Reiner! BTW we’re all huggers here, so don’t hold back when we meet in person. Excellent work! We’re ready to get rolling with this for all of our clients over at https://businessoptimizer.org/ – thank you so much for all of your hard work! Our clients will be pleased! Wow. Just wow. The amount of progress you’ve covered over the last year on Orion, the relentless pace and the constant high-quality blog updates are HUGE. Hearing Multisite will get some love before the cutover is icing on the cake, those are the only site left for me in Classic … I’ve trusted my business to Orion for months now, never disappointed. And got answered on *every* single feedback I sent. You guys rock, congrats ! Keep sending us your feedback and help us make Orion even better! Great work guys! ManageWP was definitely a game changer for me and took our services to the next level. Looking forward to full-featured Orion! Will definitely be signing up as a Premium user. Love Orion. It’s been a great tool to use and I’m looking forward to it fully migrating over from the old system. Also what you’ve proposed in this article will be a much needed and great addition to the WordPress community. I also hope you’ll be able to make enough money from Orion to keep the lights on. I’d hate to see this tool go away. Thank you for your support, Nate! Yes! I’ve been waiting with baited breath to get the full cutover to Orion so I don’t need to go back to the old interface to add new sites! I’m very much looking forward to the new pricing announcement as well! One question, however. When will we get a universal SMS notification setting for the uptime monitor? I’d like to be able to just set Uptime Monitoring active and have it automatically set to send me SMS notifications just like the e-mail notifications are automatically set. Better yet, I’d like to be able to configure the notification e-mails off across the board as well. So some sort of option where I can set defaults for the Uptime notifications and then be able to modify them per account if necessary. That should go live with the notification update, before the launch. You’ll be able to better fine tune your notifications than in Classic. Global SMS settings should also be there by launch. I’ve pinged our product team, and I’ll let you know if anything’s changed since I last spoke with them. Congratulations to all of you for getting this far. Can’t wait to put it all to good use! Thanks! We appreciate all the feedback you’ve sent us so far! Love Orion and can’t wait to see the pricing article tomorrow! One question.. .will scheduled performance and security scans be released before launch? If not do you have a timeline of when? It really takes a lot of time when you have to run 2 scans per site manually on a daily or weekly basis. Thanks again for all your hard work, it makes management a pleasure not a chore! Hi, sorry my english. You are awesome and make a great job with Orion but we need to know the prices! We are about to migrate a few sites to Orion but what should we expect? Didn’t see the article hit the site today, hopefully Friday? Cheers! I apologize for the delay, the article will be ready on Monday. Did I miss it today? Thanks!